This summer, millions of Americans will have the chance to witness the Great American Eclipse, the first total solar eclipse visible across the continental United States in 99 years. For most people hoping to see the spectacular phenomenon, a road trip to the eclipse's path is probably the way to go. But it looks like Royal Caribbean is offering a decidedly different way -- and location -- to take in the historic event: aboard a special cruise on the Atlantic Ocean. The company announced it is launching a seven-night Caribbean cruise that will give passengers an "iconic" view of the total solar eclipse on August 21 by sailing to an optimal spot along the "path of totality," or the area where the moon will completely block the sun and cause minutes of darkness. 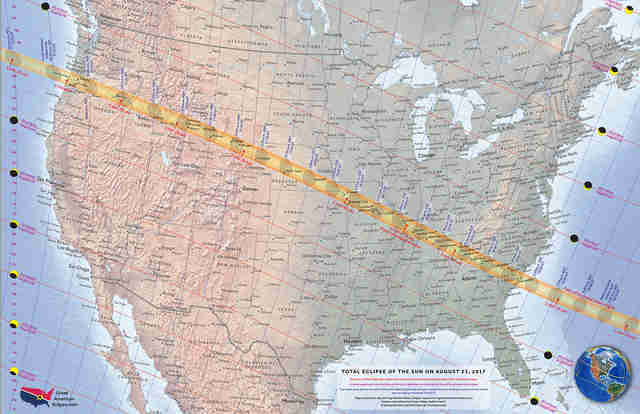 The eclipse's path will begin in Oregon before crossing southeast all the way to South Carolina before reaching the Atlantic, according to the eclipse experts at GreatAmericanEclipse.com. That's where Royal Caribbean's massive ship, the Oasis of the Seas, will be. The Total Eclipse Cruise will set sail from Orlando's Port Canaveral on August 20 and visit destinations in the Caribbean, including Phillipsburg, St. Maarten; Charlotte Amalie, St. Thomas; and Nassau, Bahamas, according to a press release. As for watching the eclipse, the company said it will throw a viewing party on the ship with a live concert performed by a major headliner to be announced later. The journey will also include eclipse-themed food and drinks as well as activities like dance parties, lectures, trivia, and other things to do besides stare at the sky for a couple of minutes. 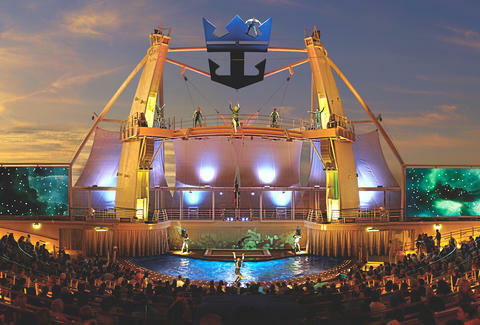 Royal Caribbean's online itinerary lists all of the activities by day. Of course, the eclipse will look almost exactly the same from aboard the ship as it did on land, although there may be fewer things obstructing your view from way out at sea. You'll just have to be cool with being stuck on a huge boat with thousands of people, but the Instagram photos may very well be worth it. Tony Merevick is Senior News Editor at Thrillist and still needs to make plans for watching the eclipse. Send news tips to news@thrillist.com and follow him on Twitter @tonymerevick.